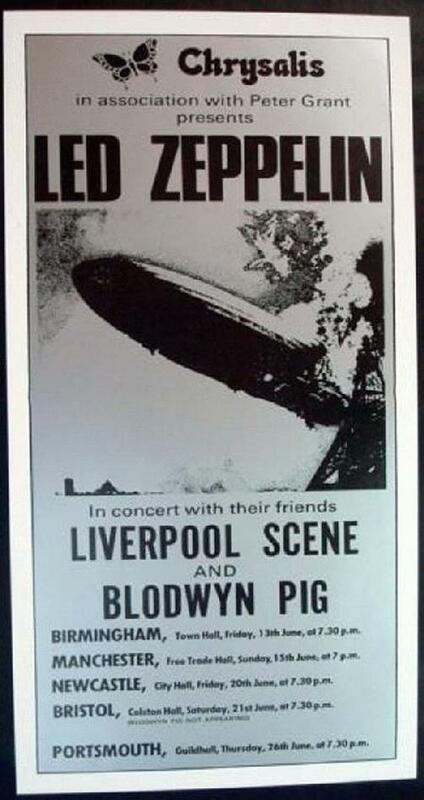 High quality reprinted concert poster for the Led Zeppelin UK Tour in 1969. 11 x 21.5 inches on card stock. Art by Bob Masse.